Given my obsession with eyelashes, when Japanese based mega make-up giant came out with their new half lashes, I immediately went out to buy a pair. For me personally, I look for fairly natural looking lashes that are good for everyday wear, as sadly for me, my lifestyle just doesn’t often call for the more extravagant feathered or glittery styles! I was really pleased with these half lashes. Unlike full strip eyelashes, these are only half the length and are every natural and quick to apply for everyday use. The pair I purchased was Shu Uemura accent mini crystal false eyelashes. 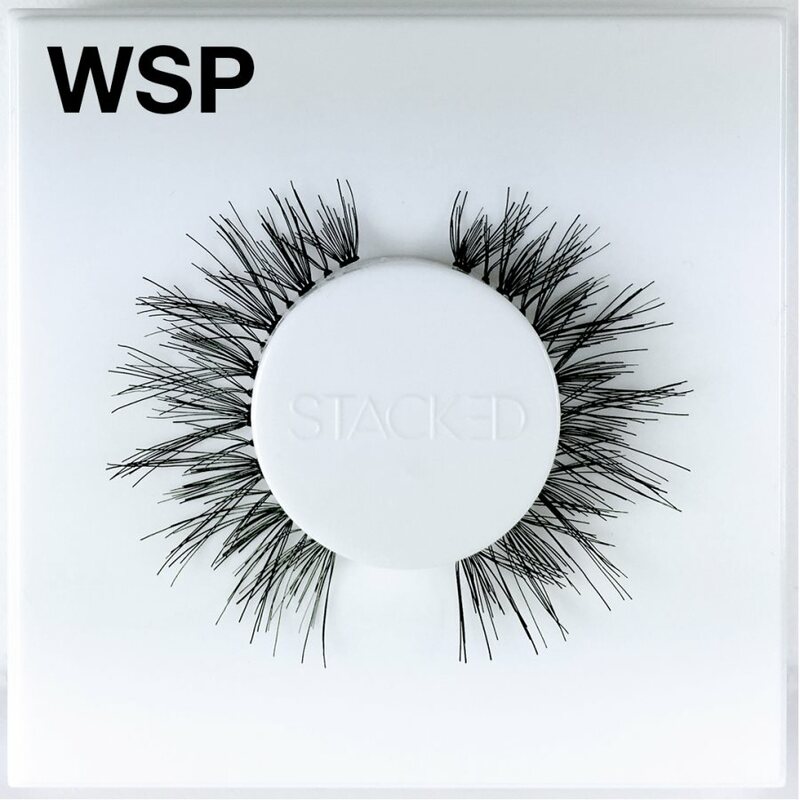 I found this style can enhanced density along outer edge of my lash line. They enhance the look of my naturally long but not curled lashes. It took me about 3 minutes to put these lashes on with my curved end tweezers. I apply these lashes with Revlon Precision Eyelash Adhesive which are as easy to use as any other false lashes I’ve tried. This particular pair of accent lashes costs $22.00 at Shu. For quality, more affordable accent half lashes, there are dozens more to choose from at MadameMadeline website. I think they look natural enough to get away with for just about any occasion so for a whole week I’ve been wearing them out daily. The result: Numerous positive compliments from coworkers, friends, and likes. I now wear Elise Faux Eyelashes #191–costs $3.75 for two pairs!! I am a bit of a lash fanatic. I have bought lashes from Shu, Ardell, MAC, Elise, or any nice ones that grab my attention. I have bought lashes from Madame Madeline and they are a great bunch to work with. They do not carry Shu and MAC lashes though. Shu lashes is a bit expansive can be worth the $$ if my client is willing to pay for it for their photo shoot. MAC lashes in my opinion is not worth the $$. 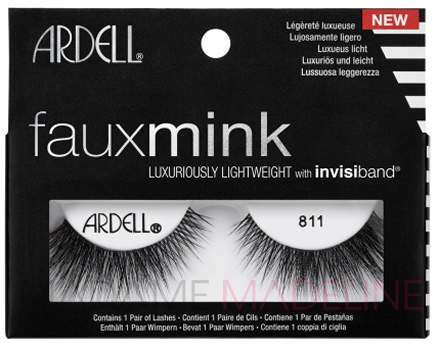 Try Ardell which is more $$ reasonable. I have never tried MAC eyelashes. I got mine at Walgreens for my first time using fake eyelashes. I bought Fantasy Lengths eyelashes by Revlon. It was the self-adhesive ones. I like them since it was easy to put on but it only last for a day. When you get a pair you get one adhesive strip already on the eyelashes and an extra one. One strip of adhesive only last one day for me. I will buy it again since they make my eyes look even bigger. I still have to get use to having them on because I touch my eyes a lot when i do. I recently saw an eyelash bar that just opened up in Ireland. How cool is that. I haven’t had the opportunity to go to Ireland, but I sure would love to. I wish they would open something like that here other than going to lame place like Walgreens, or CVS. They serve their purpose, but you can’t just hang there. So why are the Shu Uemura lashes so much more expensive than Elise? Is there a huge difference in quality? Are Elise lashes handmade with human hair too? I tried the half lashes in Ardell and Andrea. I like both of those brands. The lashes are real human hair and pretty soft. They’re cheap too. Under $4 at most places. I’m just curious why Shu Uemura, MAC, and Makeup Forever lashes are so much more expensive?